The concept of "link earning", the idea that good content naturally attracts links, is a relatively prevalent one in SEO. However, research has shown that hasn’t come to pass. Content that is highly shared on social media (a quick way to measure quality and value to an audience) does not really correlate to a lot of links. In fact, the vast majority of content published online never earns any links. Therefore, actively building links is still necessary to improve rankings in Google search results. What is Link Building in SEO? How Do I Build Links for SEO? Link building describes the actions taken with the goal of increasing the number of backlinks pointing to pages on a website. In SEO, link building is done with the goal of increasing a page or website’s ranking in search results. Link building is also a proven marketing tactic for increasing brand awareness. A company that sells high-end fashion accessories for men wants to increase the number and quality of links to a page about the watches that they sell. In order to build quality links that help their SEO, this company would pitch their websites that cover topics related to men’s fashion accessories, offering it as a valuable resource for users. We’ll cover the various methods used to build links later in this guide. As mentioned, the quality of links on your site determines how high your website ranks in search results. Before Google invented the PageRank algorithm, which was a big part of the secret to its success, keyword use in page content was the dominant factor when it came to ranking sites. This was especially true for other search engines like AltaVista and Yahoo. With PageRank, Google looked at backlinks as a measure of a page’s importance, usefulness and trustworthiness on the web. People, in theory at least, tend not to link to bad web pages. So pages with a lot of backlinks would rank higher in search results because people had endorsed that page’s quality and relevance. While the exact use of backlinks in search rankings has evolved quite a bit — quality is much more important than quantity — backlinks are still one of the most important parts of a page’s search ranking. Link building remains one of the most important tasks for anyone serious about search engine optimization. There’s a reason Google uses backlink quality and quantity to rank pages in search results. Backlinks are little endorsements of your page by the linking website. People reading content on one site will see links back to your pages the same way. Therefore, backlinks from high quality, authoritative websites make your content look better in the eyes of new potential customers. Going back to our hypothetical men’s fashion site, a link from an authoritative source such as GQ would be a powerful endorsement, regardless of the link’s SEO value. As you consistently create more content with relevant links, your audience will begin to see your website as an authority in your field, and thus come back for more. This increased awareness will increase direct traffic and make users more likely to click a link to your website when it’s shown in search results. Backlinks from relevant content help attract a more qualified and engaged experience. Users that click through to your site from a link on another page will find, in theory at least, your content relevant to the need they are trying to meet when clicking that link. Engaged users spend more time on your website and are more likely to end up in a conversion. Audiences also find the content source more trustworthy the more they engage with it. Building relevant links will help you build more loyal website traffic. Now we know what link building is and why it’s so important, let’s go through how to build links for your site. In recent years, the idea of "link earning" has started to replace the concept of link building. This is partly due to the Penguin updates (why risk building bad links that will do more harm than good? ), and partly due to the rise of content marketing and the focus on creating “link bait” content. However, research has shown that link bait doesn’t drive much link building. Content that is highly shared on social media (a quick way to measure quality and value to an audience) does not really correlate to a lot of backlinks. In fact, the vast majority of content published online never earns any links. The key, therefore, is to be smart in your link building efforts. While good (or even great) content on its own is not enough to earn substantive links, it’s still absolutely required. So you need to learn what sort of content in your subject area builds a lot of links. Conduct a link audit of your website to learn what pages on your own site get links. Next, investigate the sort of content on other sites that your target audience finds useful, accurate and unique. The second step in creating link bait content is to find other sites’ content that has a lot of links. Content with more links and engagement shows that there’s a demand for that type of content, and it will give you insight into what sort of content people find useful and shareworthy. 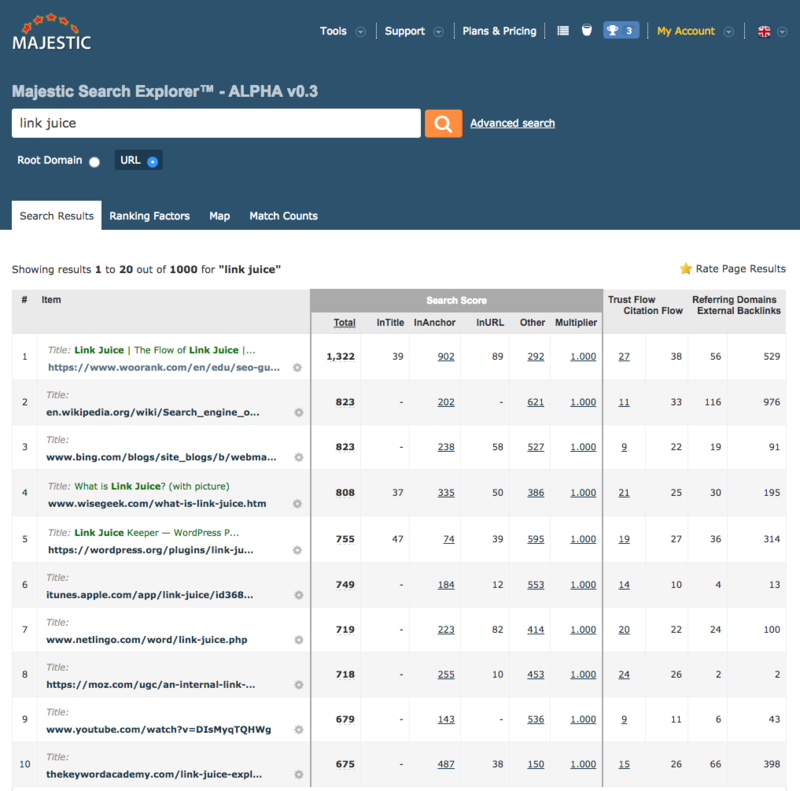 Tools like Ahrefs, Buzzsumo and Majestic let you search by topic to find articles that are highly shared and linked. This shows that there’s a lot of demand for this content, which will make building links a little easier. When you have a few ideas that you think people will want to link to, create content of your own. You can leverage ideas for the pages that already have a lot of links to grab some low hanging fruit. Don’t just rewrite the content (known as article spinning), since both people and search engines will be able to tell that you’re not adding anything of value to the topic. That means fewer links and lower search rankings. Remodel it: The easiest way to improve on a list is to turn it into an infographic. Infographics are some of the most popular content on the web when it comes to linking and sharing, and the visual component has a large influence on user experience and content consumption. Even if the old article doesn’t lend itself well to becoming an infographic, changing the layout and adding new images to the post can go a long way to improving its usability and shareability. Enhance it: Some of the most popular content online are listicles (look no further than BuzzFeed for an example of the success of listicles), such as "top 10 winter fashions this year" or “10 ways to declutter your desk.” These articles are great opportunities to be rewritten because you can add items to the list, flesh out explanations, add examples for any list and link to the source. Article with more details, examples and links are much more useful to an audience and more likely to get links. Refresh it: Posts that get a lot of links fall out of date, sometimes quickly depending on the industry. Update any out of date points with the correct new information to make it more useful. For example, Google’s Penguin 4.0 runs in real time, which is a change from previous incarnations of the algorithm. There’s a chance that some highly linked articles on link audits and link building contain out of date warnings about Penguin penalties taking months, or even years, to recover. You don’t have to use one of the three methods mentioned above when creating your own link bait content. What’s important is that it’s well-written, covers the topic authoritatively and provides some sort of novelty or unique perspective on the subject. Newsjacking is the tactic of injecting your brand into the stories or headlines of the day. It entails finding a story that’s in the news and finding an angle that relates it back to your brand or your topic. It can get your name and your content in front of a large number of people. It can demonstrate your brand’s expertise on a particular subject. It can help make your audience think of your website as a place to go for updates and newsworthy content. Track the news: The key to successful newsjacking is keeping up with the news. Use Google Trends and Google Alerts to monitor keyword relevant to your business. Follow relevant journalists and influencers on social media and keep an eye on hashtags. Since successful newsjacking is about being in the right place at the right time, there is an element of luck. News breaks: Something happens. News websites post a breaking news alert and people close to the story start posting on Twitter and Facebook. You publish your take: After the event happens, you should immediately jump on top of it and create your content. Depending on your goal, the content you create here will change. Since we’re discussing newsjacking in terms of link building, you’d want to publish a blog post or other article on your site. The scramble for details: The story is starting to pick of steam and journalism outlets are frantically searching for new information and details about the breaking news. In this stage, you’ll be promoting your article to journalists and other influencers via Twitter, Facebook, Quora and other social platforms as well as by email. These journalists and influencers will (ideally) link to your content as a reference in their stories. Peak: The news story has reached the general public and media on the event is starting to become saturated, or has already become saturated. This phase is where you determine the success of your newsjacking. If you did it right, your article will have attracted lots of attention in the form of high-quality links from news sites, as well as some buzz on social media. You can still publish a newsjacking article here if you’ve got a really unique, detailed or helpful take on the story, but it’s going to be more difficult. Old news: The story is out of steam, people have pretty much sated their interest, and discussion has died down. The time to newsjack has passed as it’s not really news anymore. Marketers attempting to use newsjacking need to be very, very careful when choosing news to build links off of. Choosing the wrong story can do more harm than good. It could even be disastrous. Just ask Pepsi. Once you have created your amazing content, you need to get to work promoting it to your audience in order to earn or create links back to it. Guest blogging is a good way to generate high-quality links to your website. You want to go for authoritative sites here, depending on your niche. For some sites, all you need to do is find the editor or content creator, contact them and request to do a guest post. Some sites may have general guidelines which you need to follow. Some have a “write for us” section that explains how to go about writing for them. You can also Google the site’s name plus keywords like “guest post”, or “contribute” to know how to go about guest posting. Sites like Forbes or Entrepreneur are highly authoritative in the business niche. Identify the authority sites in your industry and reach out to them. A tool like Hunter will come in handy to give you the contacts you need. It also helps to guest blog for sites that could generate social shares, thus more links and authority for you. The site where you guest blog should have a high rank on search engines too. A simple way to know this is by entering the keyword you want to generate leads for on Google, and see what sites are in the top 10 slots. A tool like Serpstat comes in handy to help you know the links that your competitors link to. You then need to identify those with a high trust rank. Go for the more recent links. See if you can link to them too, or better still, guest post for them. This does not mean reaching out to an influencer and trying to get them to mention your brand. Rather, it means that you can come up with content with links from what influencers have done, said or achieved. You can, for instance, do a video compilation made up of short clips by the most popular designers in high-end fashion for your high-end fashion brand. Something like “three high-end fashion designers share 3 fashion rules you should never break”. You may not interview them in person, but curate the content around the web, of course, with proper attribution. The mere authority of the people in question will make more people want to interact with the content and share it, generating more links. The featured influencer may also see the content, link to it and share it even more. Buying links can be tempting for people looking for quick and easy SEO solutions. However, link buying is item number one on Google’s list of banned link schemes. These purchased links are, in most cases, spam or links to malicious content. They are, therefore “blacklisted” from search results. This ties back to other link building techniques (both white and black hat). Once you get someone to agree to link to your site, it might be tempting to get them to include a bunch of links on the page. Or, if you're guest blogging, to add several links in your article. This is a mistake. Since the vast majority of people don't link to the same page several times in one piece of content, doing so will make those links look unnatural and spammy. This will reduce the value of those links (possibly to nothing) or, if you do it enough, incur a manual penalty. Ideally, your manual outreach will result in future link opportunities for you. So sticking with one link per opportunity will help you build bridges for future backlinks. Before reaching out to a website for link building, do your due diligence on that site's reputation, credibility and authority. If you use a backlink tool like Ahrefs or Majestic for your own website, use that tool to check the link profile of the potential linking site. If a website doesn't have any backlinks, it's likely not worth your time or effort to get a link from them. Pages with no links don't pass much link juice. A link from a page with spam links can even add negative value to your page. In this article, we've covered the general ideas and guidelines to building links to improve a page's ranking in search results. To learn more about specific tactics, read our guide to building future-proof links.